1. 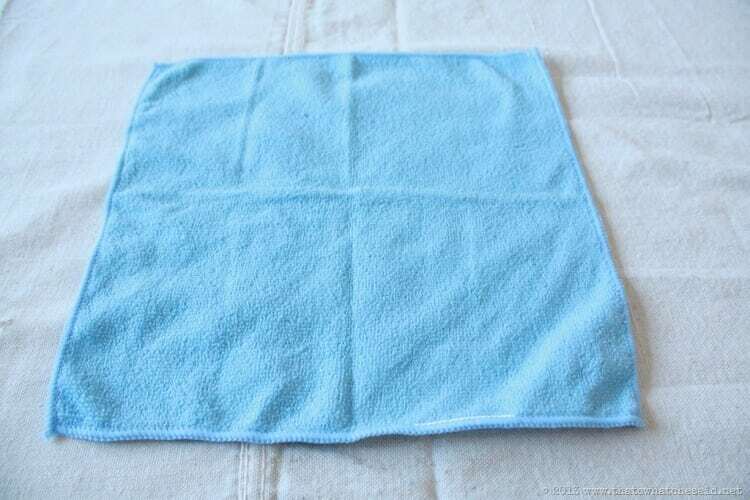 Lay your washcloth flat in front of you. 2. 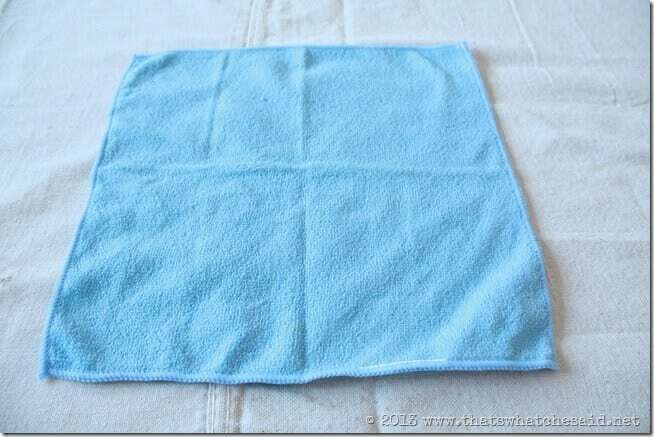 Roll the top left and bottom right corners of your washcloth into the center of the square like shown above. Secure the roll in the center with a piece of ribbon. snip excess ribbon tails. 3. 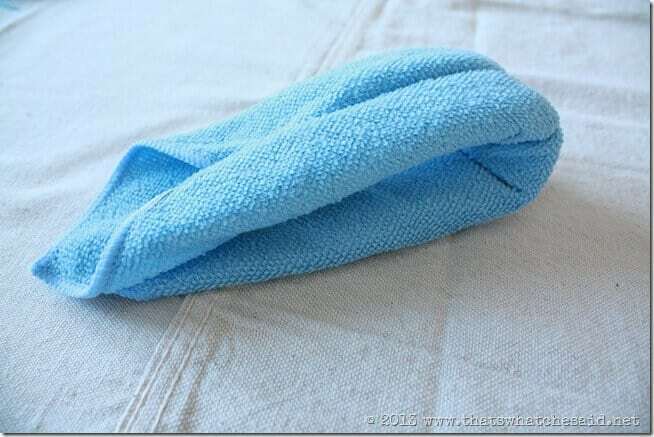 Flip the washcloth roll over so that the rolled sides are facing down. 4. Fold the rolled washcloth in half lengthwise bringing both pointed ends together, like pictured below. 5. 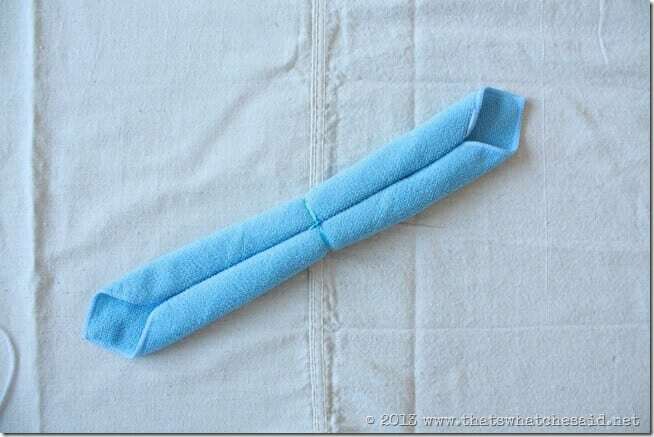 Next we are going to fold step 4 in half again, this time taking the pointed ends and folding them back towards the tied center. 6. 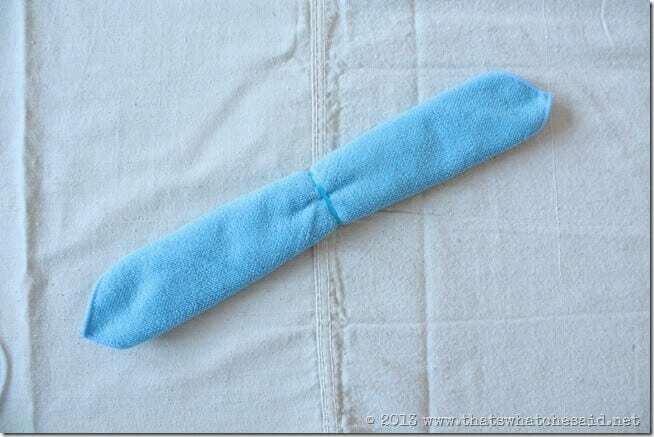 Secure with ribbon about 1/3 the way on the folded washcloth. Be sure to tie in a tight knot and leave enough ribbon to make a small bow. 8. 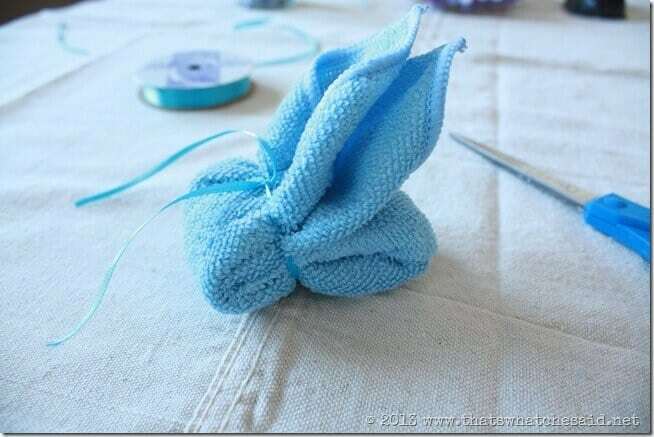 Add a large white pom-pom to the back of the bunny with some hot glue for the cotton tail. 9. 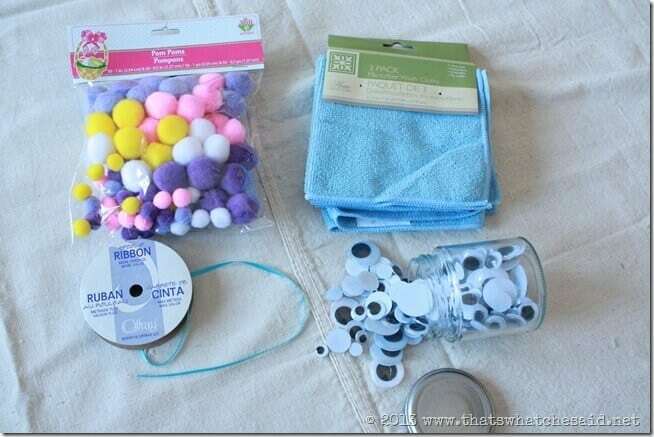 Add two small white pom-poms along with one pink pom-pom for the mouth and nose. 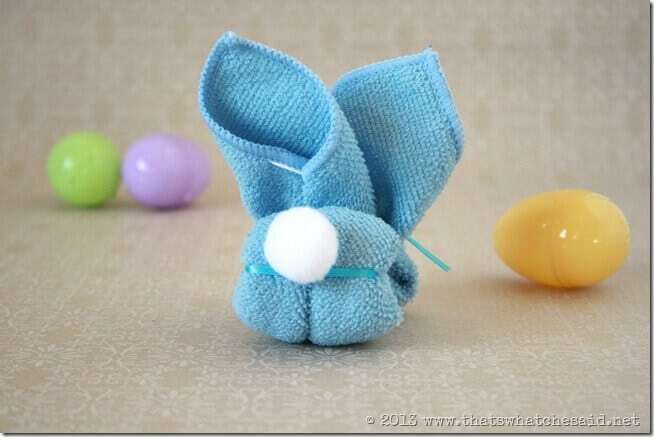 Use two of your googly eyes so the bunny can see! Some people think projects aren’t complete with out glitter or a bow…in my house, projects aren’t complete until you add the googly eyes! 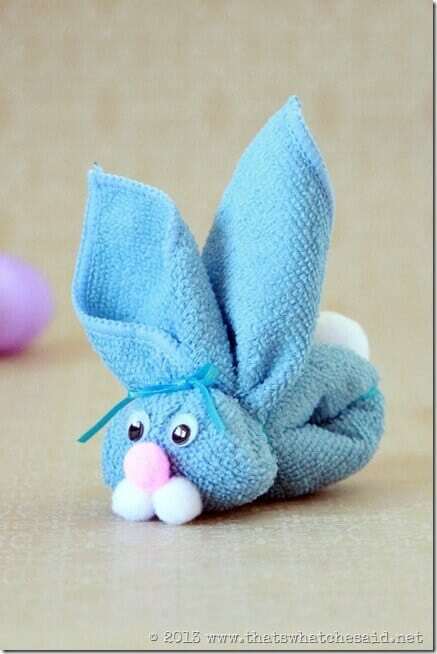 There you have it…a super cute Washcloth Bunny! Like I mentioned above, slip an ice cube into the fold and you have yourself a “boo boo bunny” for the rest of the year! 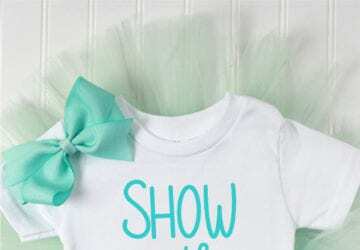 Perfect in an Easter Basket and for when your little one has a bump or scrape! 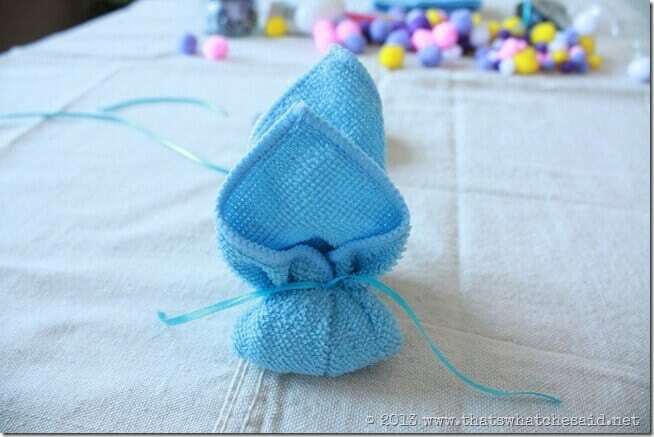 This craft is great to make with your kids! They will love watching a regular old washcloth turn into a bunny before their eyes! It is also a craft that would be great for group activities because the cost is so low! You could get at least 3 bunnies for under $3 at the dollar store! 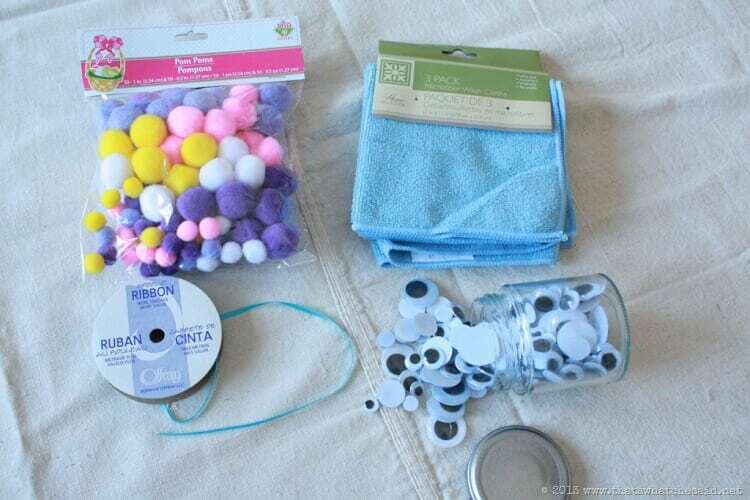 A bag of googly eyes and pom-poms go much further than just one bunny! 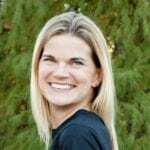 Think about this for your girl scout troop or play group activity! 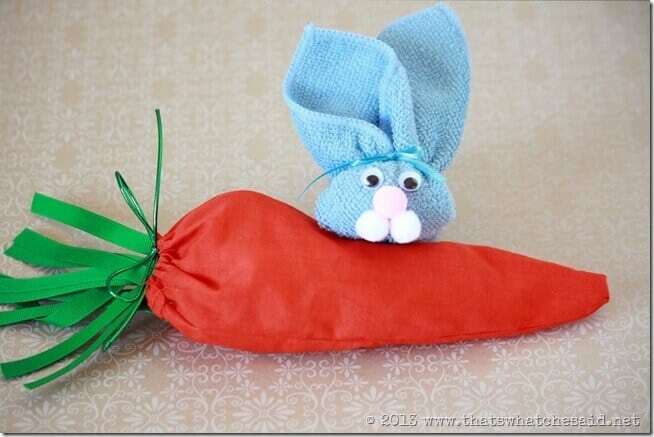 If you missed it you can find the tutorial for the carrot treat bags in the photo above and whip some up in no time! Super cute bags to store stickers, goldfish snacks or even jelly beans! 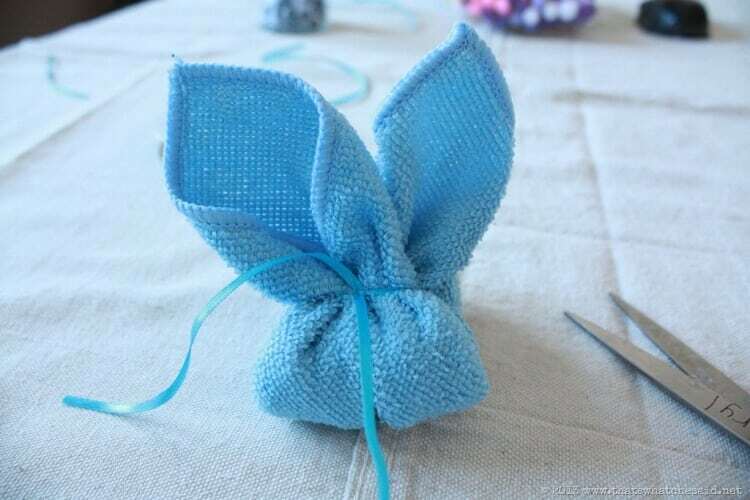 You can also check out my collection of Easter Projects too! 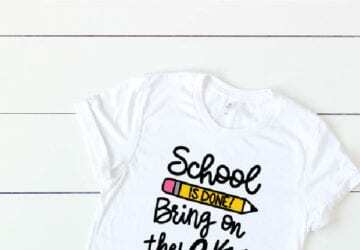 There is an adorable Jelly Bean Prayer + Printable! 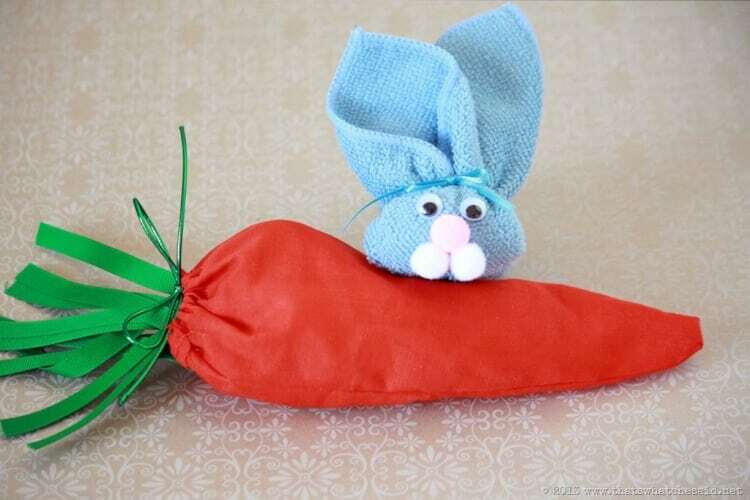 Pingback: Craftaholics Anonymous® | Last Minute Easy Easter Crafts!